In 1847, a young African American girl named Sarah Roberts was attending a school in Boston. Then one day she was told she could never come back. She didn't belong: the Otis School was for white children only. Sarah deserved an equal education, and the Roberts family fought for change. Roberts v. City of Boston was the first case challenging our legal system to outlaw segregated schools. It was the first time an African American lawyer argued in a supreme court. 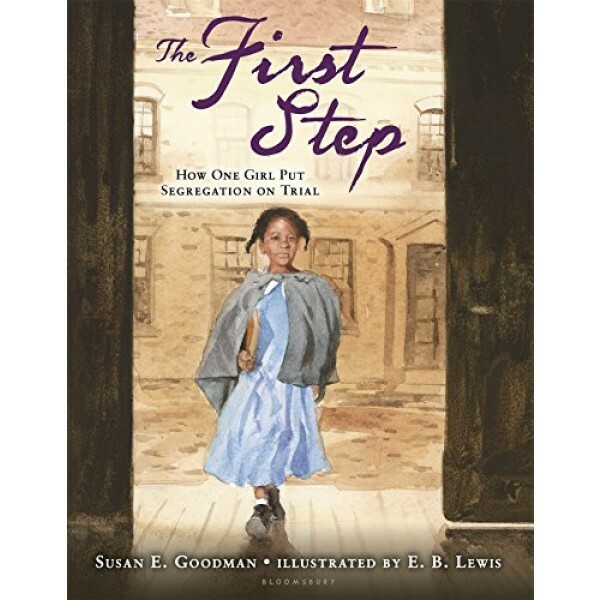 These first steps set in motion changes that ultimately led to equality under the law in the United States. Sarah's cause was won when people -- black and white -- stood together and said, "No more. Now, right now, it is time for change!" 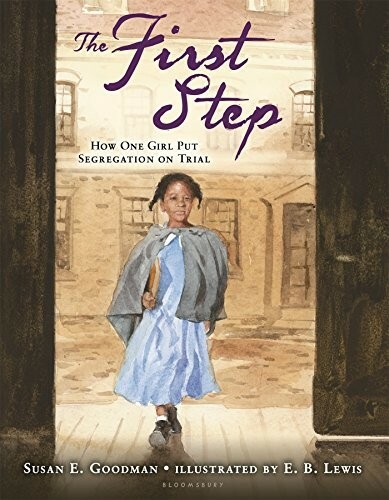 With gorgeous art from award-winning illustrator E. B. Lewis, The First Step is an inspiring look at the first lawsuit to demand desegregation -- long before the American Civil Rights movement, even before the Civil War.